At K'(Prime) we offer a broad range of Gas Chromatography consumables that enable customers to ensure maximum instrument performance and reproducible results. Within our company we provide the products that make a measurable difference. To learn more about our Gas Chromatography consumables, please get in touch with us by phone or completing our Contact form for more info. We offer a wide range of supplies for operation and maintenance of GC systems. These products have been carefully designed to work with your instruments for maximum performance and uptime. 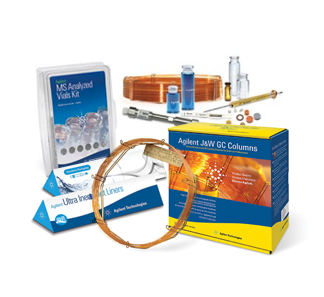 GC General Supplies, GC Instrument Parts and Supplies, GC/MS Parts and Supplies, GC Parts and Supplies for Varian Instruments and more! Ultra Inert Columns, Guard Columns, Low-Bleed GC/MS Columns, Polysiloxane Polymers Columns, Polyethylene Glycol (PEG) Columns, PLOT Columns, Special Application Columns, Packed GC Columns, Test Standards, Fused Silica Tubing and more!